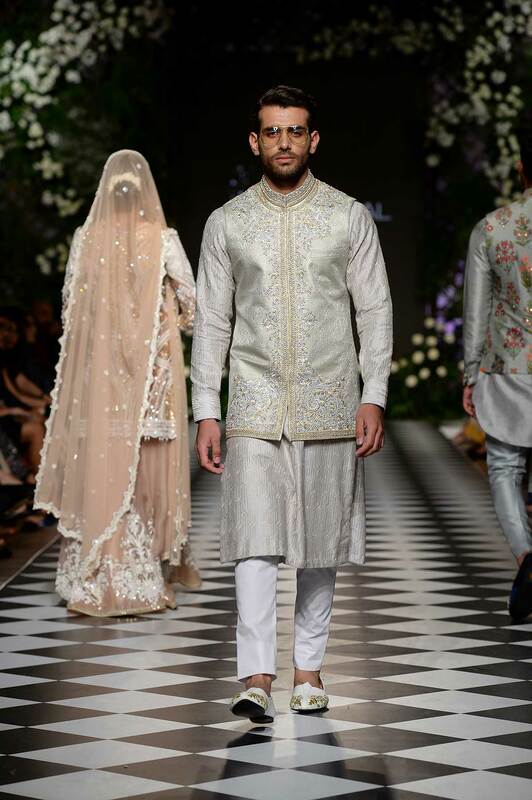 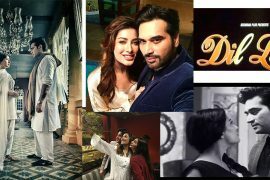 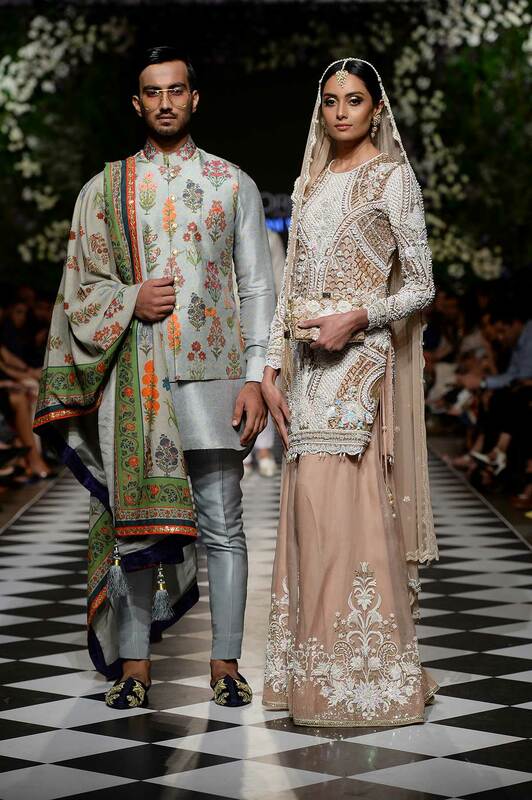 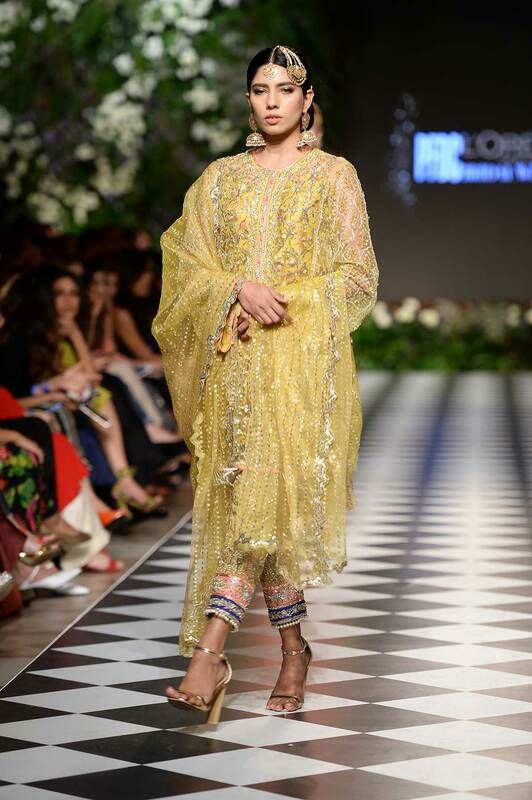 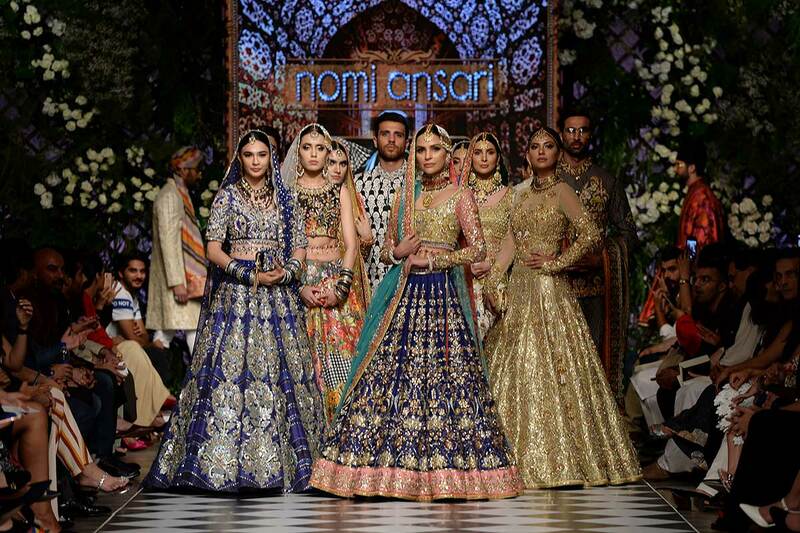 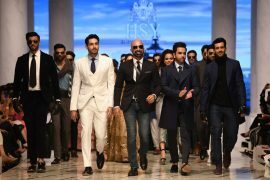 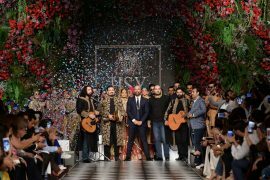 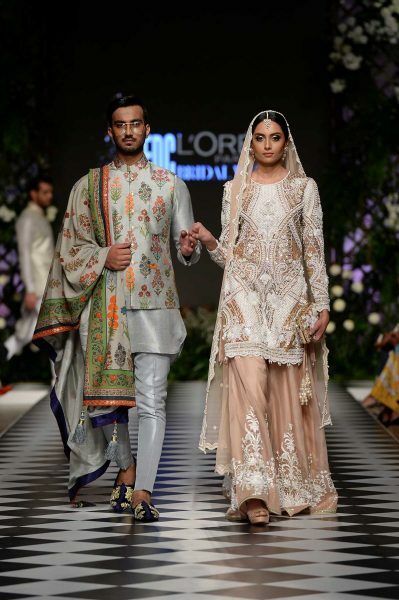 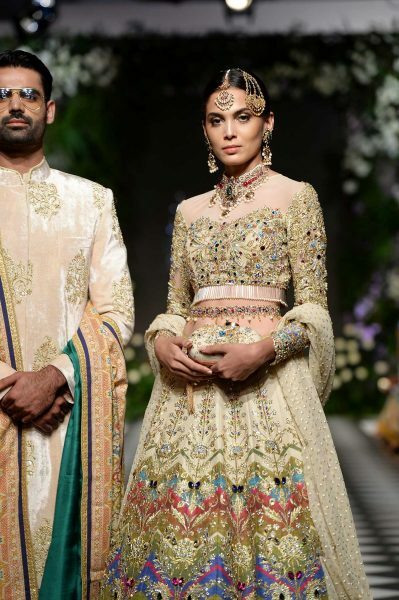 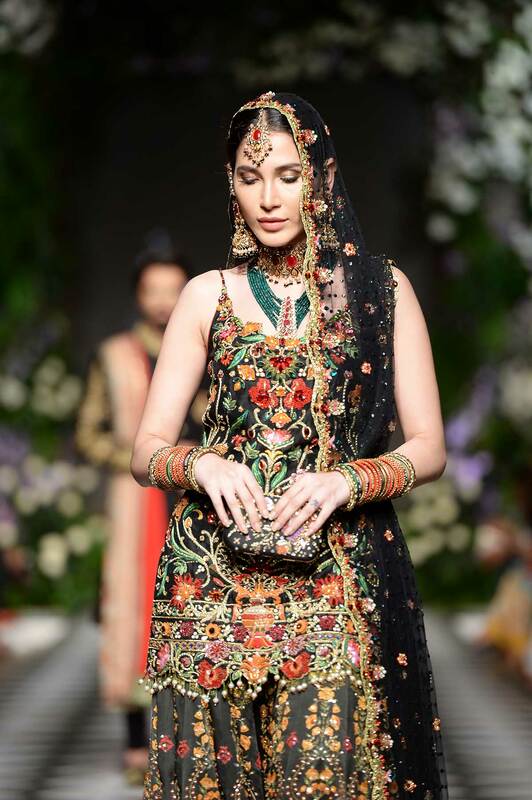 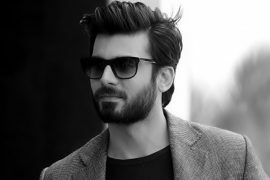 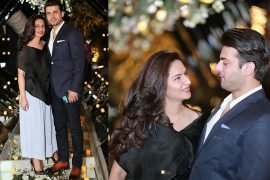 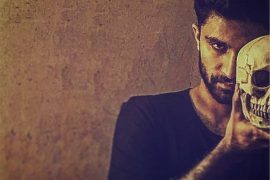 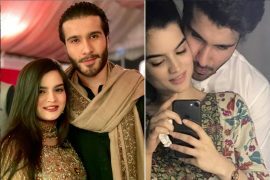 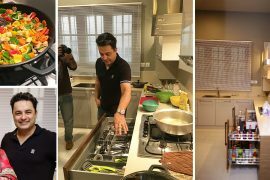 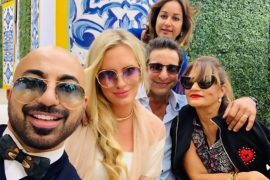 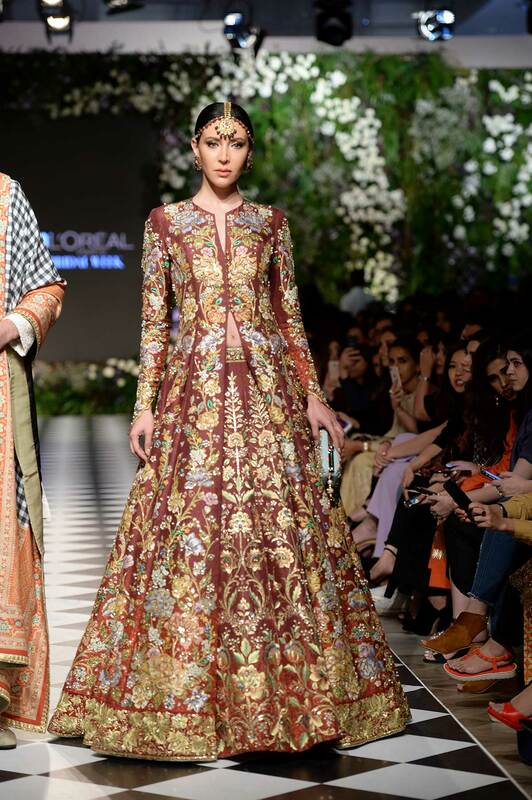 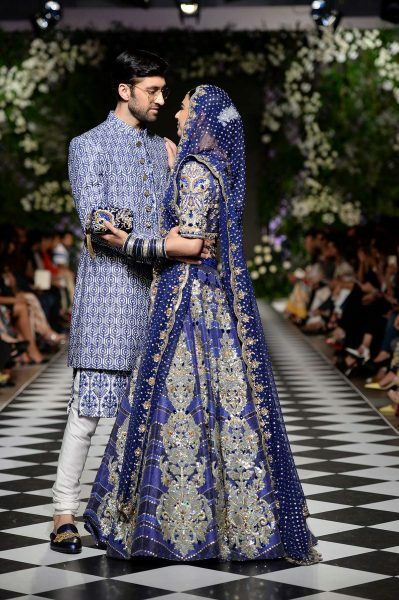 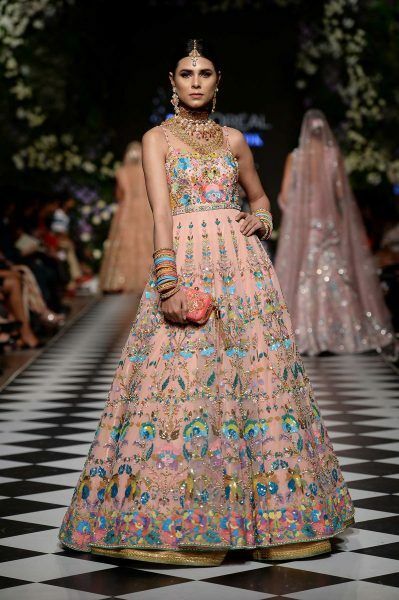 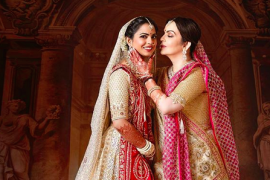 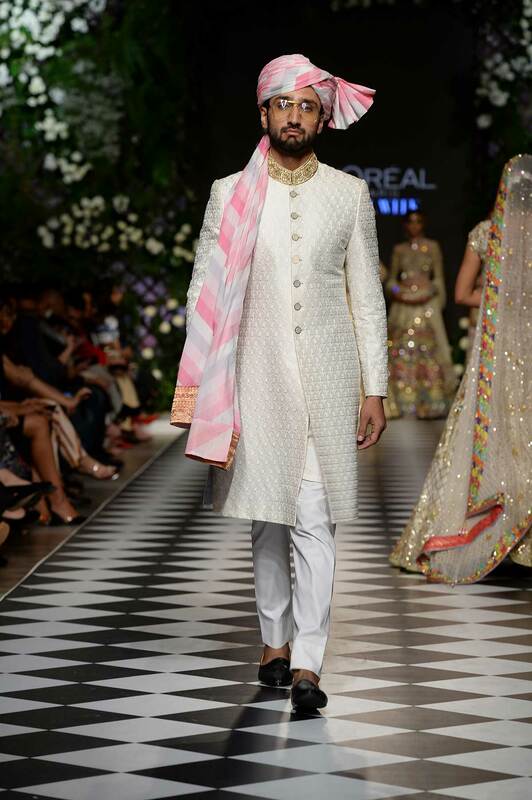 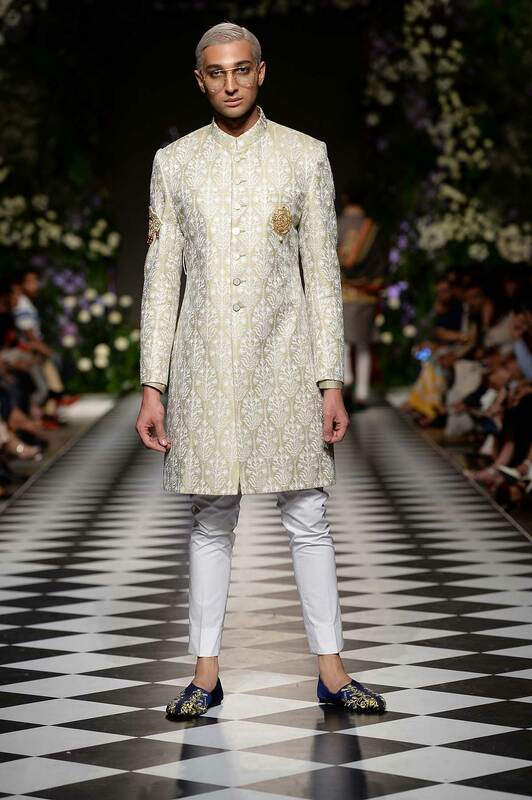 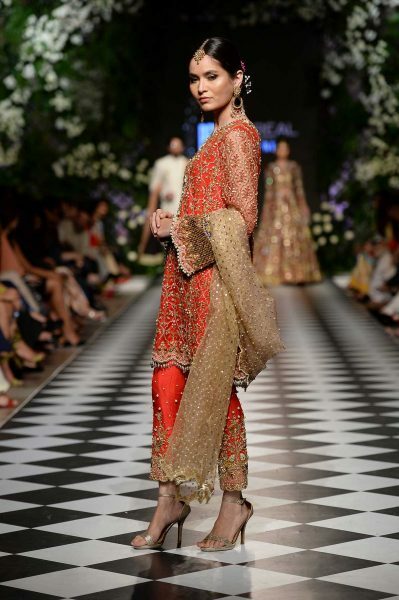 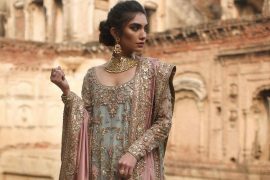 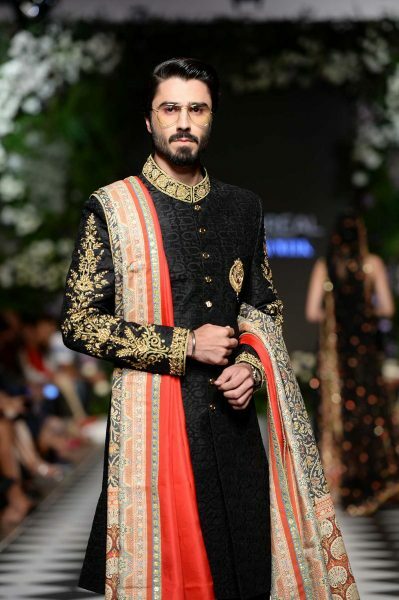 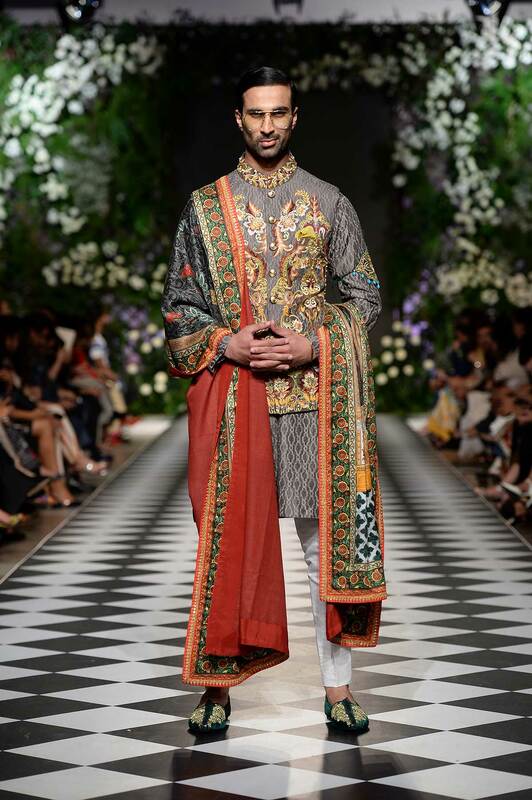 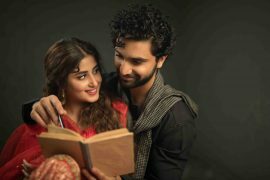 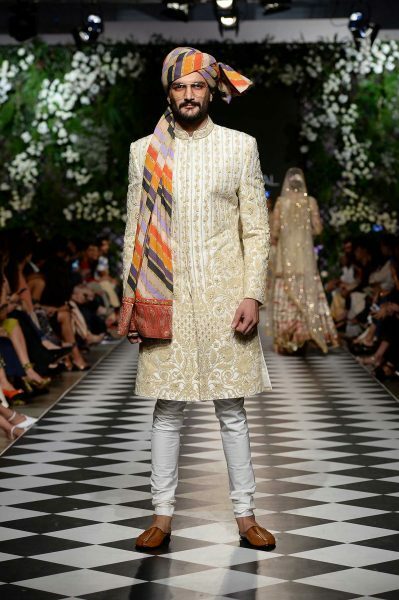 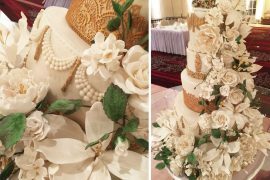 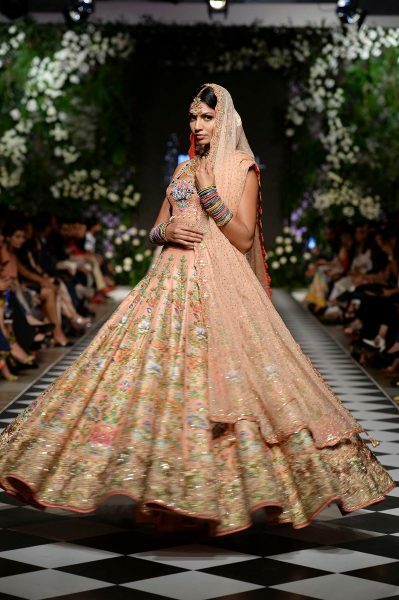 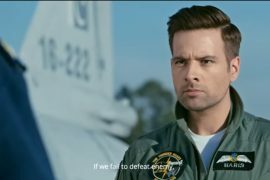 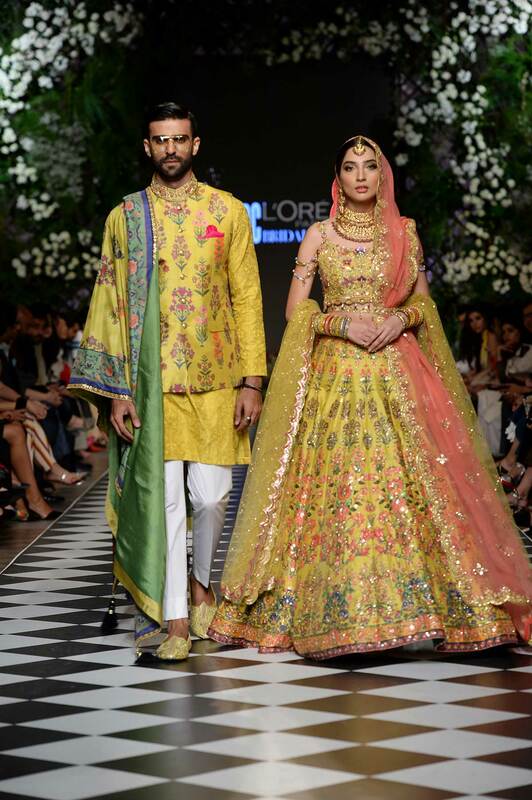 Nomi Ansari showed his 2018 bridal collection at the PLBW 2018. 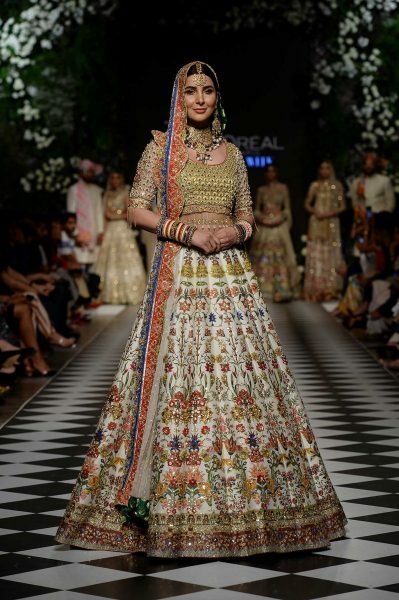 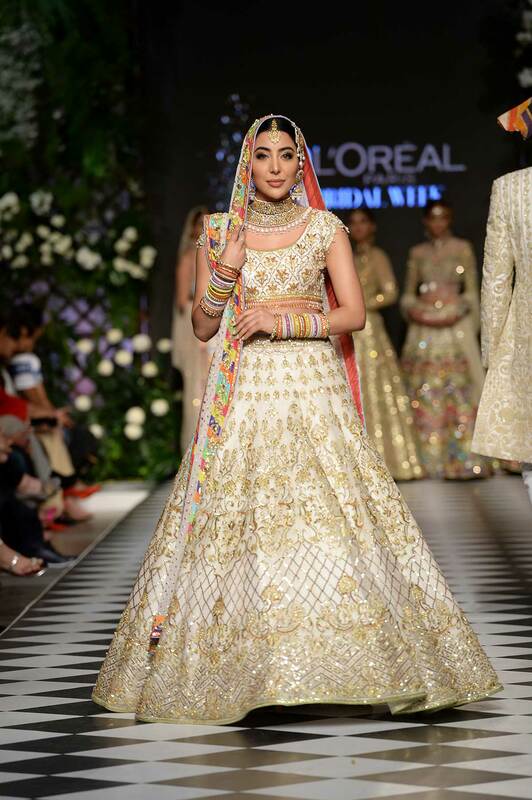 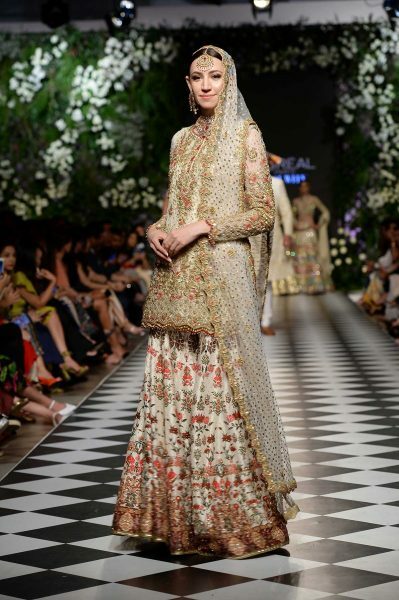 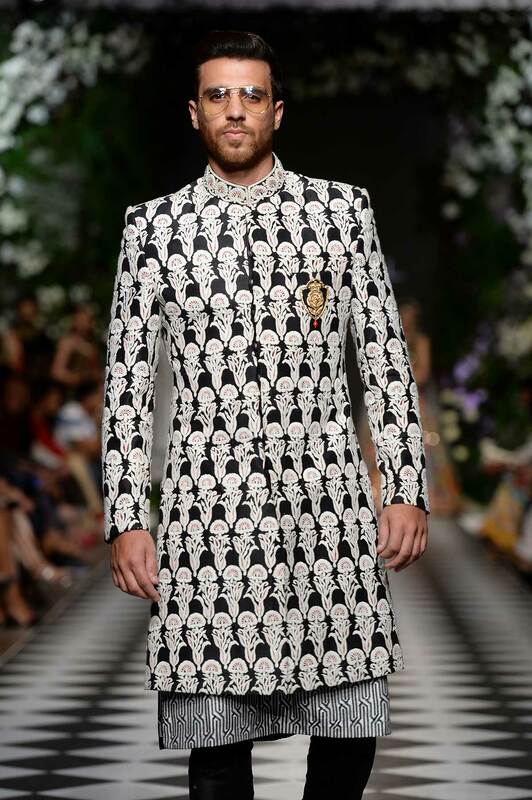 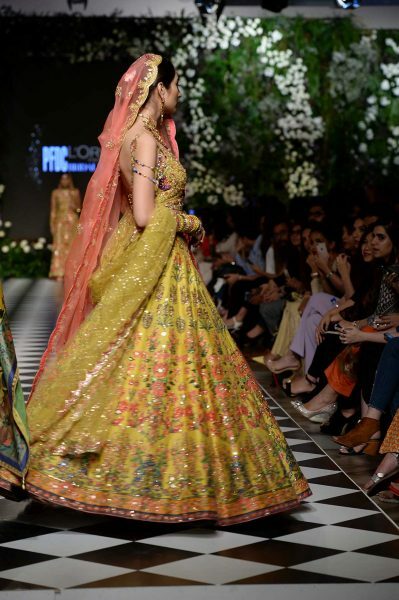 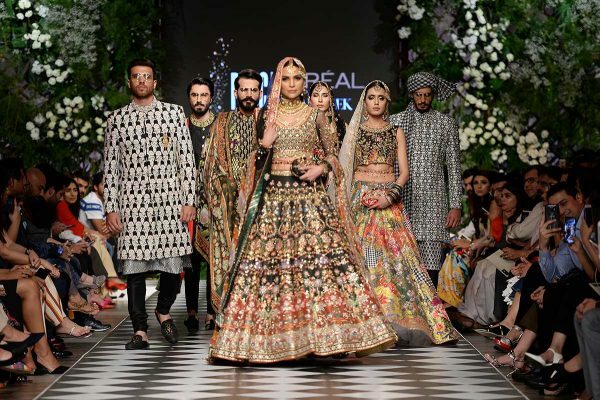 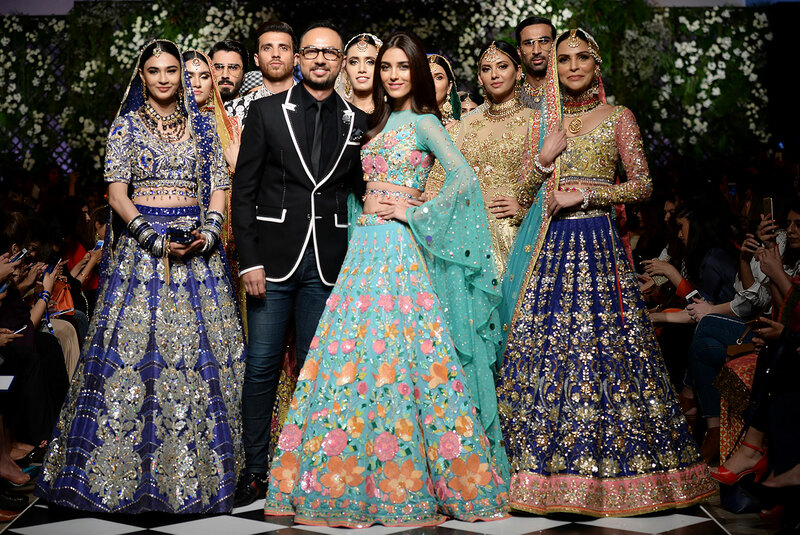 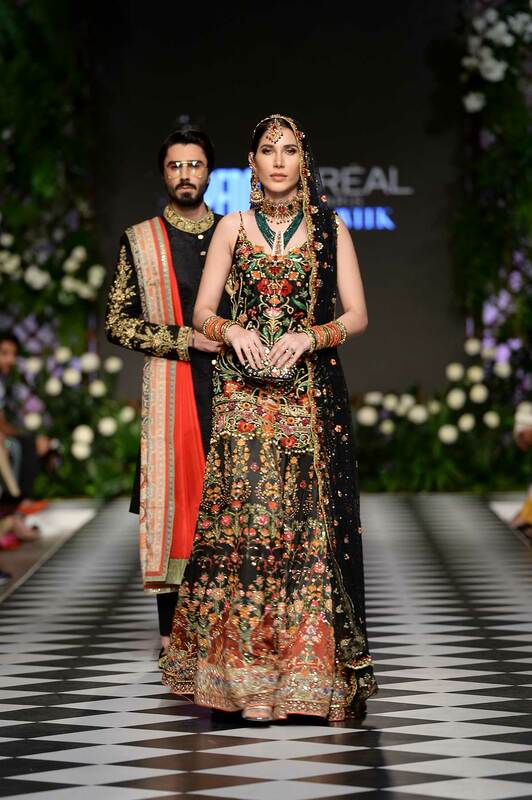 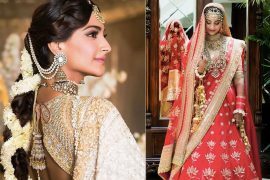 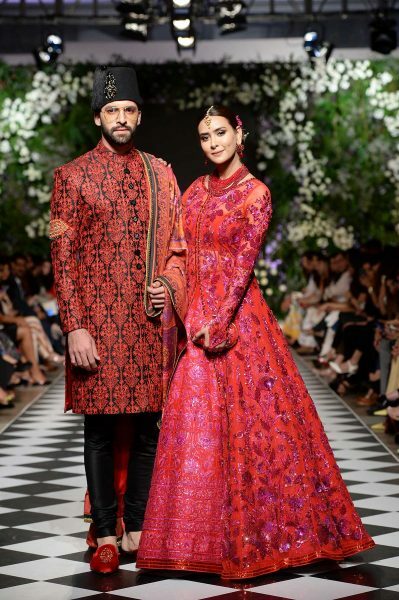 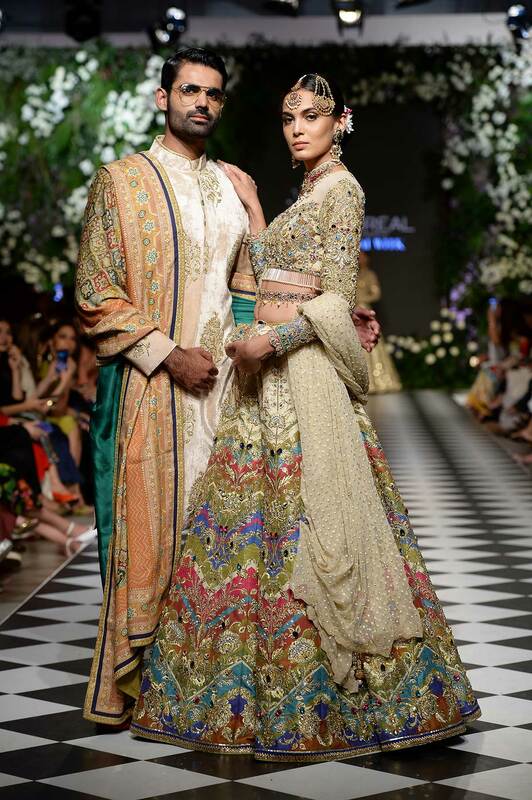 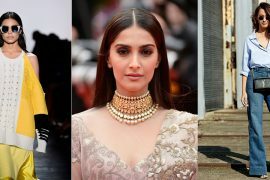 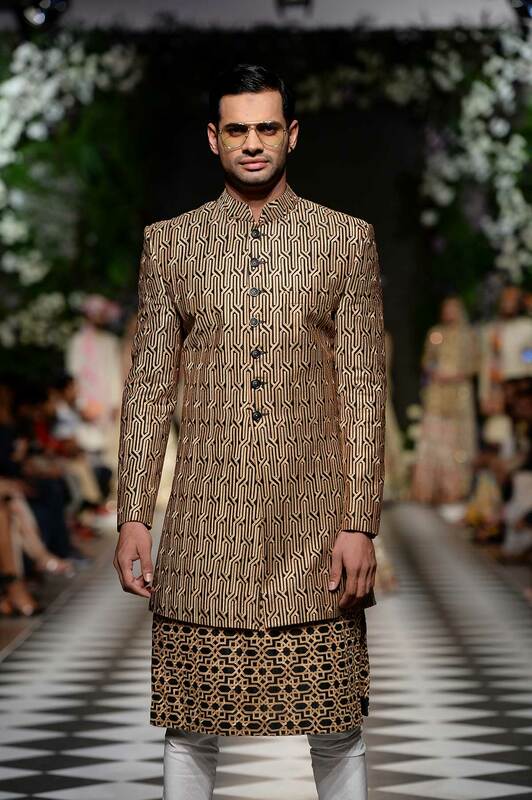 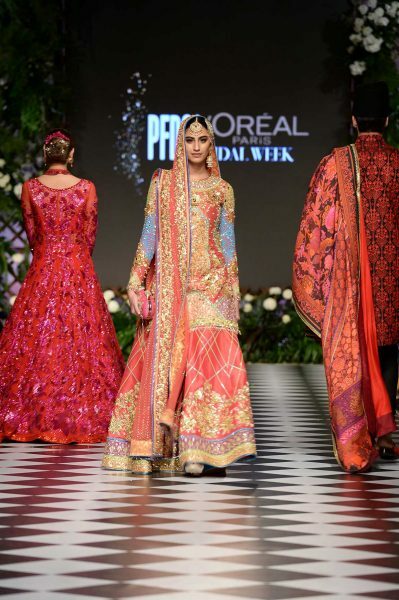 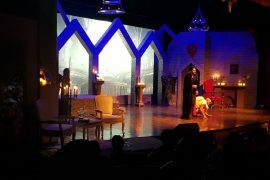 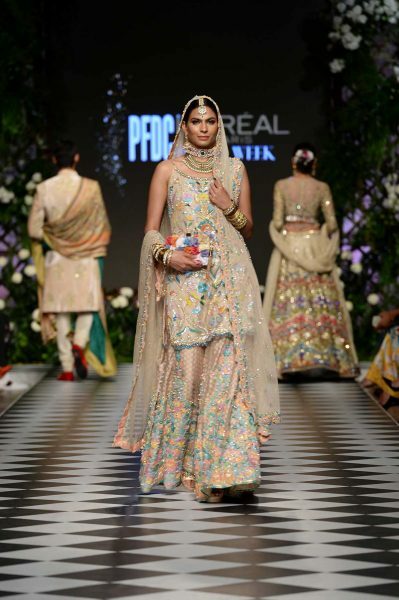 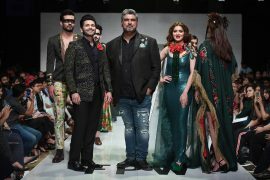 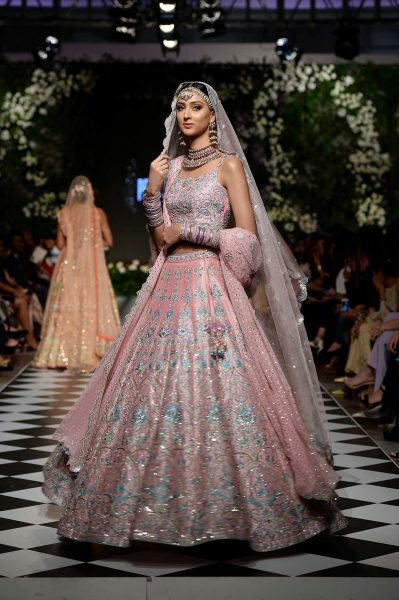 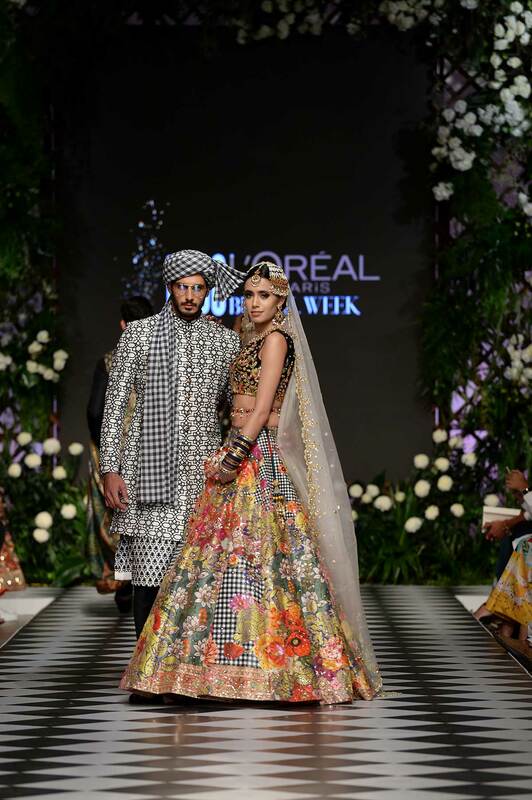 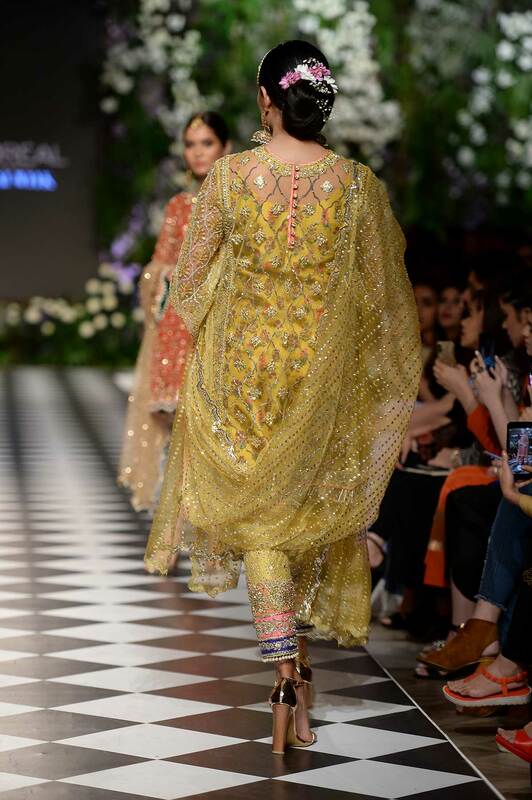 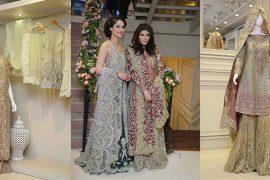 He opened Day 1 of PFDC L’Oréal Paris Bridal Week 2018 with his Bridal/Festive collection ‘Maya’ (Illusion), in collaboration with jewellery designer Hamna Amir. 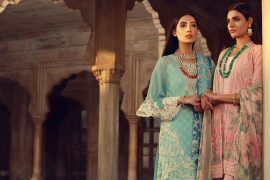 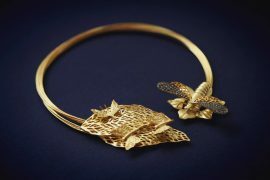 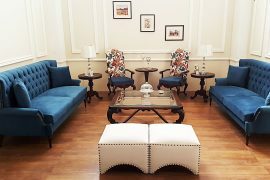 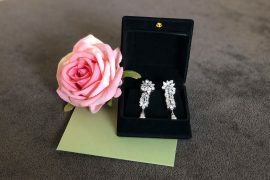 Drawing inspiration from the splendid opulence of the palaces of yesteryear, the collection exudes a sophisticated majesty that is deeply rooted in the subcontinent. 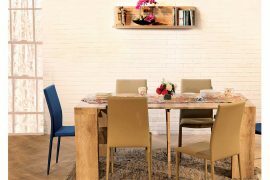 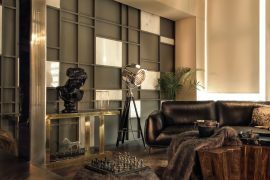 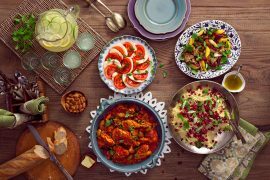 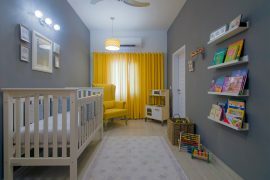 Timeless and appealing, the collection is a celebration of the design house’s signature aesthetic with a masterly use of colour. 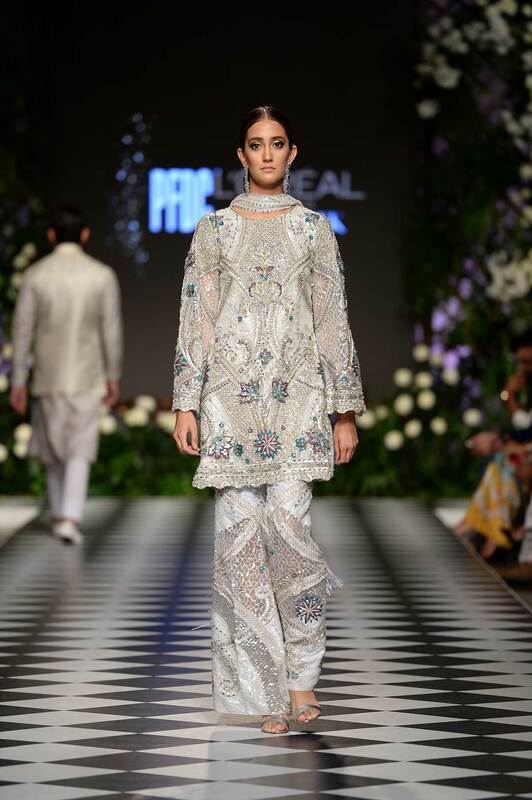 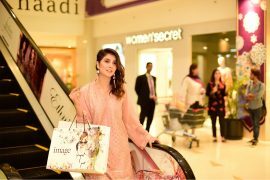 The collection featured flowing skirts, wide pants and Dhaka pajamas paired with sleek, tailored cholis using sumptuous fabrics including tulle, silk and pure organza in sheer layers to create voluminous silhouettes. 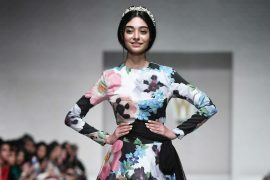 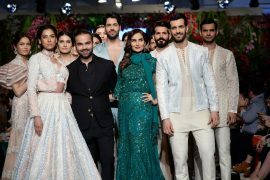 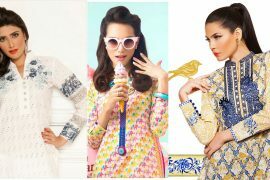 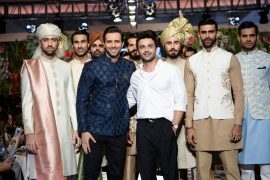 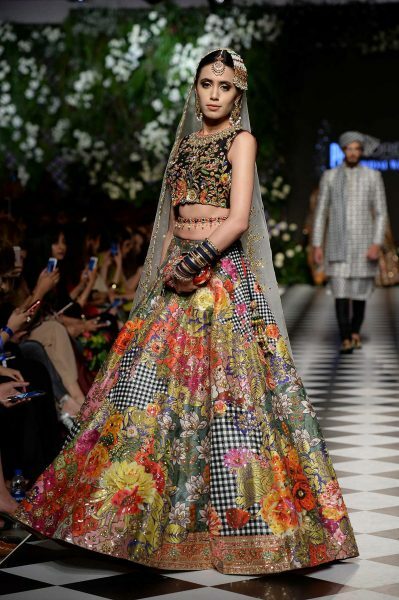 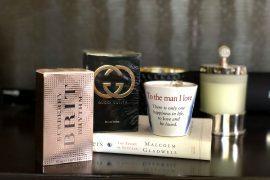 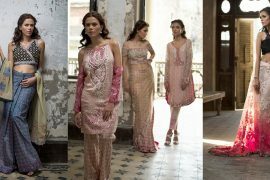 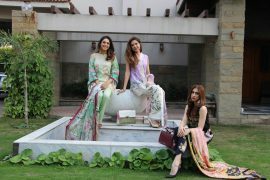 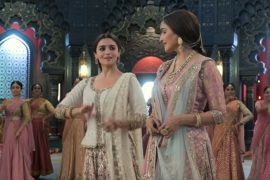 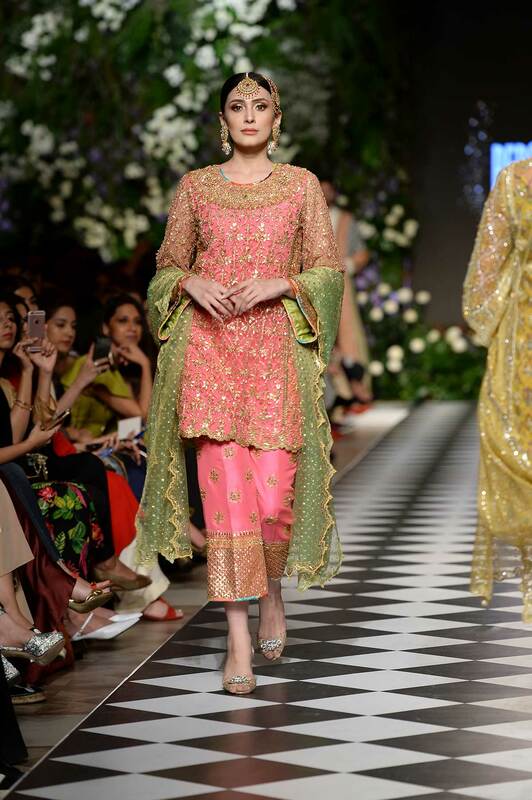 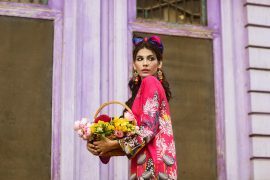 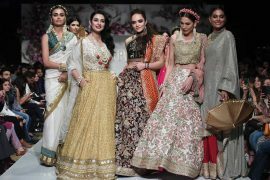 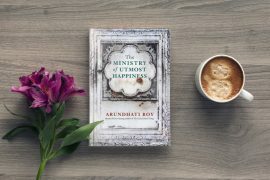 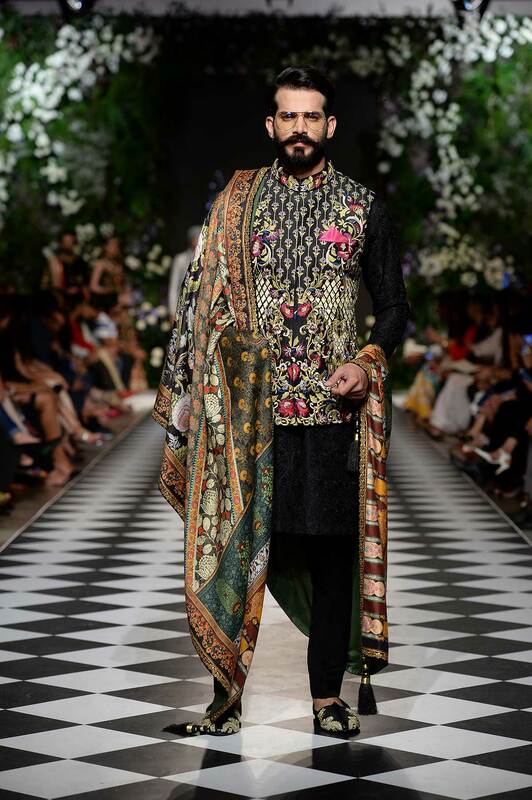 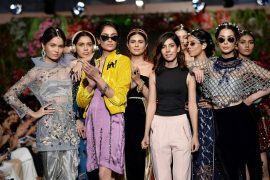 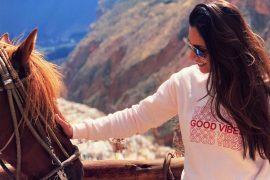 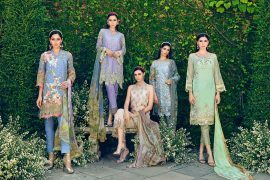 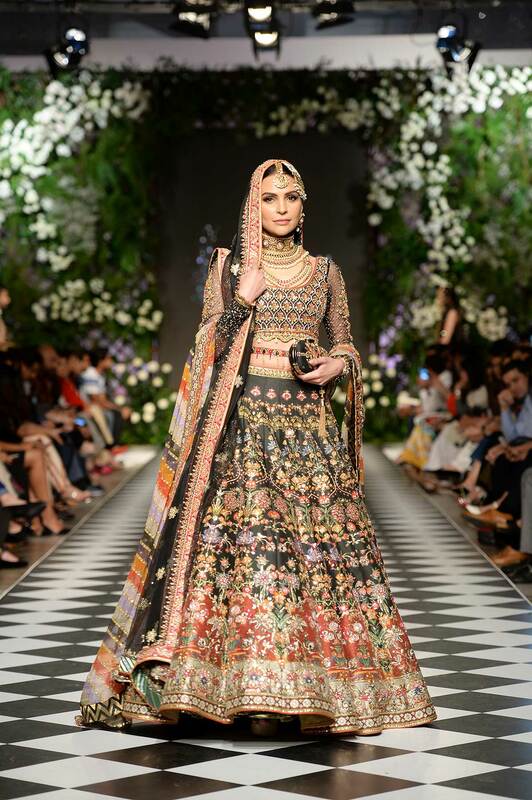 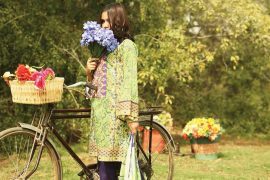 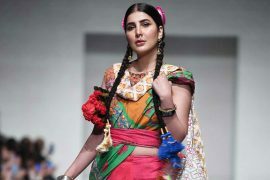 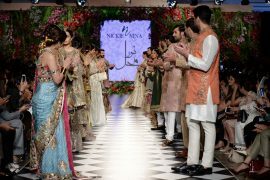 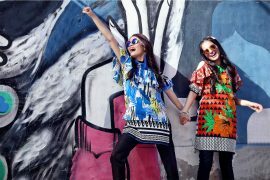 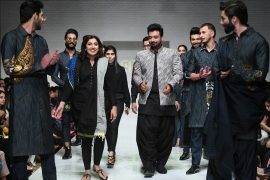 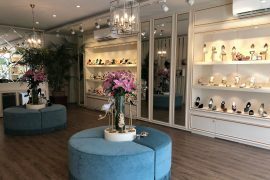 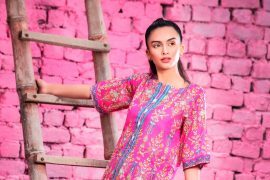 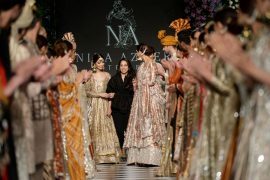 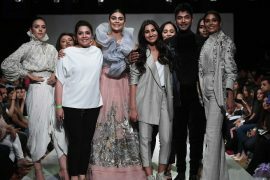 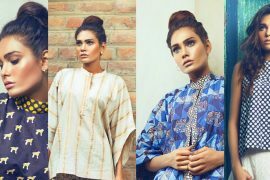 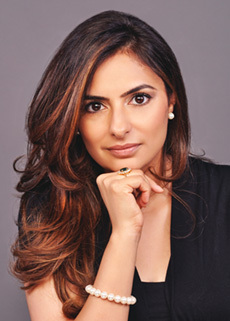 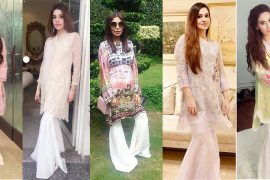 As you would expect from Nomi Ansari, the festive collection featured a varied, vivid colour spectrum veering from ivory, mint, apple green and candy pink to saffron, gold, rouge red, magenta, midnight blue and, unusually, black. 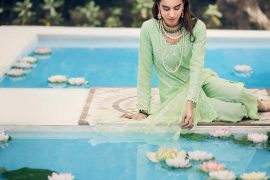 ‘Maya’ sparkles with antique gota details and artisanal hand-embroidery, including zardozi, aari, mukesh and intricate appliqué work, accented with Swarovski crystals – just perfect for a host of festivities including wedding events and sangeet soirées. 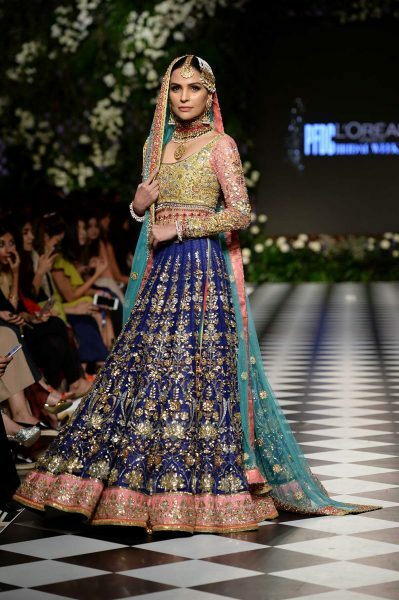 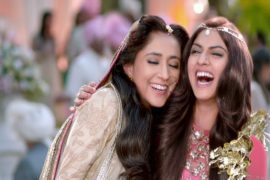 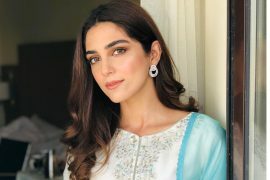 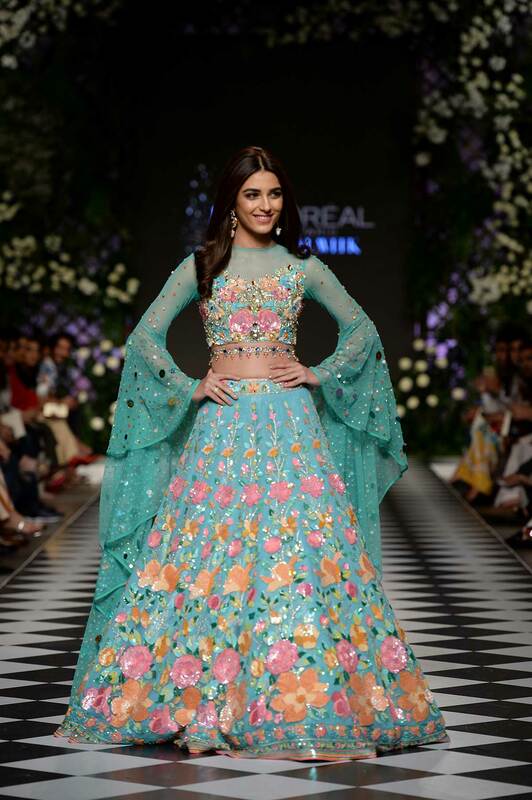 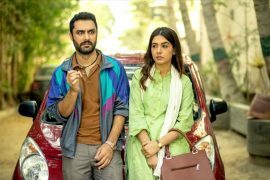 Top Pakistani actress Maya Ali was Nomi Ansari’s gorgeous celebrity showstopper in a vivid turquoise lengha choli that sparkled with vivid blooms in sorbet colours.